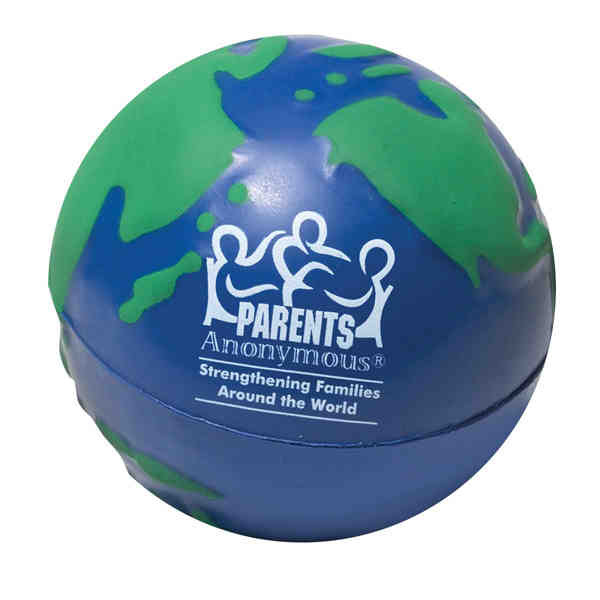 Imprint Method: UNIMPRINTED - Give clients the world with our Earth designed stress ball reliever. Each polyurethane stress ball is manufactured by hand so no two balls are exactly alike. Individually hand printed, the placement of second side imprint may not be exactly centered. This product is not a toy and is not safe for use by children under 3 or pets. Factory is not responsible if imprint is not completely legible. Imprint will break and appear uneven due to textured surface. Imprint Size:1" x 0.626", 1.2374" x 0.75"